Ladies and Gentlemen, The Harvard University 100th Anniversary Reunion (pause) Band! Of course I'm going to embed the HUB 100th Reunion hype video as soon as I saw it. It's not clear anymore if I was ever as young as those current Bandies in the video, but the records say otherwise. Broken finger from a fall on the second trail run 500m from the finish, and was dead last in my age group. But there were only 3 in my division, so Podium! When it doesn't hurt so much to type, I'll add more. UPDATE: I'm still typing one-handed, but surgery went well and I can peck my way through this update. 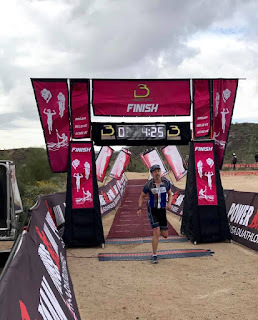 Overall 2:44:38, which is 21 seconds faster than last year, even with the fall and picking myself up and folding my broken finger against the rest of my hand to finish. 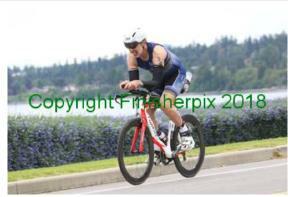 Run 1 30:55, T1 2:43, Bike 1:34:20, T2 2:26, Run 2 34:16 (last year was 34:09, so I was doing pretty well for me). 23/36 overall, 14/18 men, 3/3 age group. Full results here. 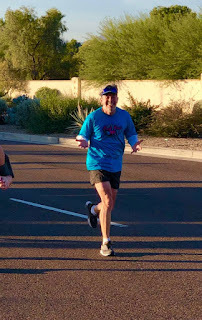 The Scottsdale Half/5K is usually a fun event, with a huge Tri-Scottsdale/Team Fresh Hair turnout. I had two goals after last year's bad race: (1) not get injured, and (2) finish. And I did, although it was a slog. I tried to stay even, but my pace slowed over the miles from 9:30/mile down to 10:00/mile. But I didn't get hurt, I finished, and I beat last year's time (which was deceptively good) by 14 minutes, although I was 6 minutes behind 2016. 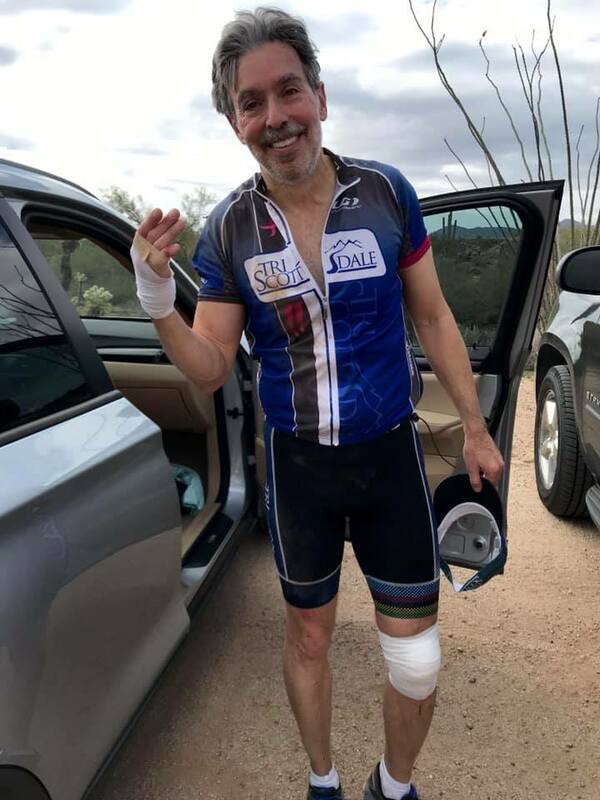 But for not training enough, and not getting hurt, it was a pretty good day, and based on how much trouble I had sleeping Sunday night, I gave it my all. My time was 2:11:50, a 10:04 pace, 27/37 division, 342/476 men, 628/1033 overall. Here's the link for the finisher video. 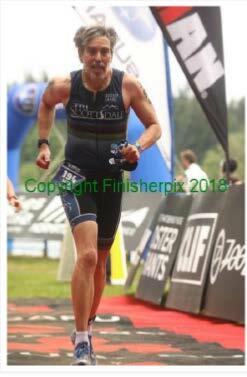 You can tell I gave it my all; I thought I was gliding to the finish, but it looks like my legs are gonna fall off. It was a very hot day in Tempe on Sunday. We started out around 84 degrees for the swim, and by the end of the run, it was well in the 90's and humid (by our "it's only a dry heat, like a self-cleaning oven" standards). 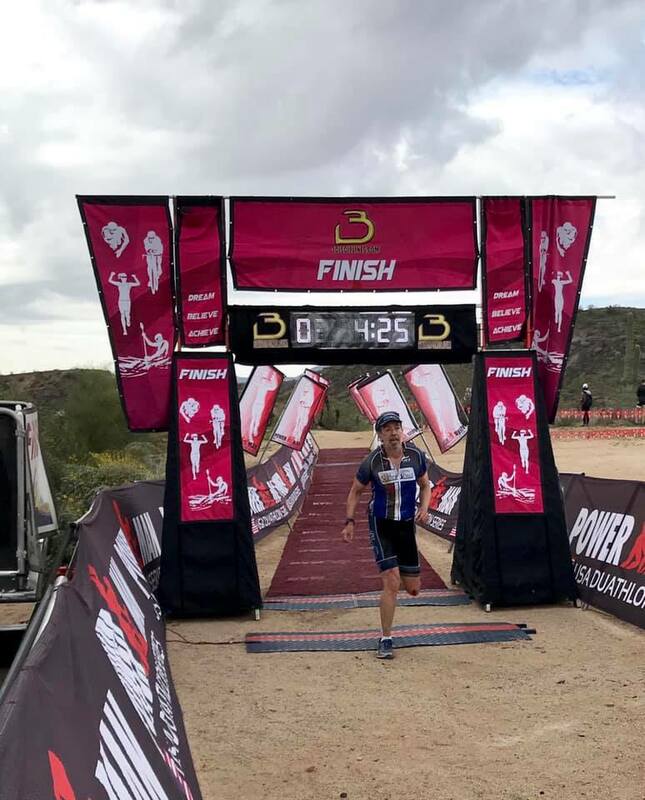 UPDATE: While the official temperature for the event on the result website was 103 degrees, I think I finished before it hit 100. But maybe not! I was 4 minutes slower than last year, but I think that's due to the weather. I also finished 5th in my age group, because 3 guys ahead of me all aged up this year from 55-59 to 60-64 (curse each of you for getting older, especially you Steve Greenspan). 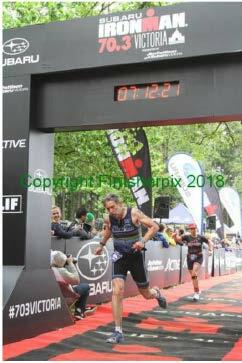 But a very creditable performance: Swim 32:19 (a minute faster than Thursday), T1 3:15, bike 1:19:14 (slower than last year, maybe I should have used the tri bike after all), T2 2:47, and run 1:07:18 (5 minutes slower than last year - which I'm pretty happy about, considering the weather). Overall, 3:04:18, 5/10 age group, 134/237 men, 186/395 overall. 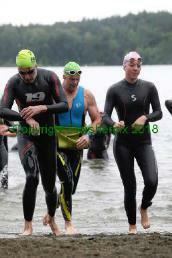 I'm pretty tired today; it was "only" an international distance triathlon, but it was hard. Results, photo, and a finish line video (boy, I don't look at all graceful running) available here. It's a small event, with a number of options. There are 2 swim distances (750 & 1500 m), one run distance (5K), and options to swim only or to swim and run. The price is the same for all 4 options, so of course I swam 1500m and ran. And once again, more than 90% of life is just showing up: 1/1 ag, 26/43 men, 33/61 overall, results here. It was really hot, even in the water; posted temperature was 84, but there were warmer pockets. Nice tune up for Lifetime Tempe Tri on Sunday. No pictures, though. 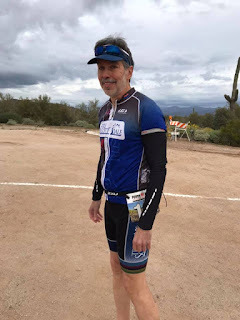 But in the end, it was a fun event - great volunteers, good weather (surprisingly so; little wind, rain held off until the run, and even on the run, the tree canopy kept you from getting too wet), and a huge group from TriScottsdale. I made my base goals. I didn't get hurt, I finished, I finished under 7 hours, and it was 40 degrees cooler than Phoenix, but that was all I could do. I'm not sure I'd recommend Victoria, however. There's no central location or hotel, so your experience is driven by where you stay. 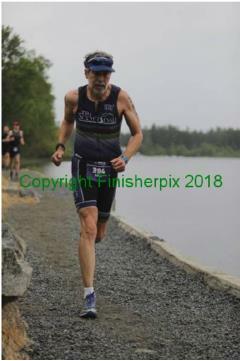 I shared a house with 5 other TriScottsdale athletes (and a spouse and sibling who weren't racing) in Sooke, which is 30 minutes outside Victoria in the other direction, so I had fun but I didn't see much of the other TriScottsdale folks, except at a happy hour on Friday. Other races seem to have much more camaraderie and proximity, but not here. The Ironman "Village" was really out in the middle of nowhere. Plus, those Canadians (and US Pacific Northwesterners) are fast, curse them!